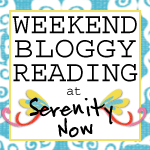 Serenity Now: Weekend Bloggy Reading-- Highlighted Links! 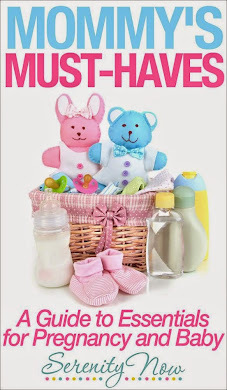 Weekend Bloggy Reading is still open for new links! If you haven't taken a minute or two to browse this week's list of links, please do. Who needs magazines when you have free eye candy on your monitor? The blog topped 800 Followers this weekend! For a "blog about nothing," that's a pretty big deal. I was so excited to see some new faces pop up on my sidebar. Several bloggers linked to my party on Facebook, Twitter, and their own blogs this weekend, and I'm sure the new traffic comes from their generosity. Special thanks to any and all of you who gave me a shout-out! Do you think Jane would notice if I hung out in her fabulously Transformed Living Room? There are lots of other great links to read through: recipes, stories, revelations, room make-overs, you name it! Thanks to each of you who came by, and especially to the bloggers who took the time to link back and leave me a comment...I appreciate it more than you know! The party is open until 10 pm (ET) tonight, so there is still time to link up YOUR best post of the week. The code for the party button is below, in case you'd prefer to use that instead of linking back. You'll find the party right here. Congratulations on reaching 800! That's a lot of readers and a big accomplishment. Wow! Congratulations on 800 followers! That's a lot! Thank you so much for popping in to see me. Congrats on making it to... 811! Hehe. I love Jane's living room too! And those Valentine's boxes are too cute!